DIAMES is a software based MES production management tool to improve efficiency and productivity using existing resources and infrastructure. 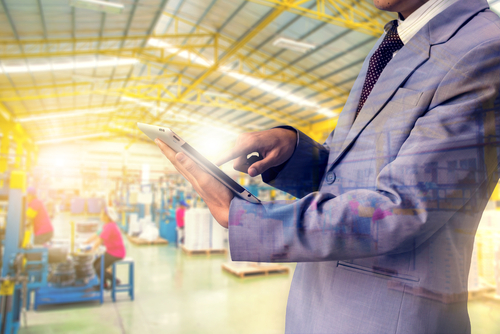 This innovative MES platform bridges the gap between your ERP production planning and the effective execution of related shop floor processes. 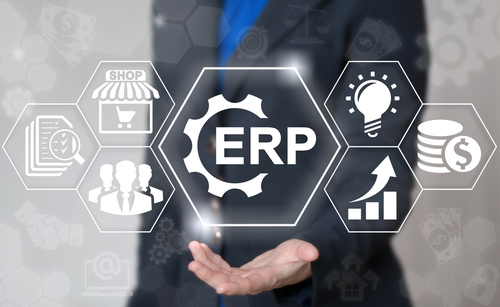 DIAMES complements your current ERP environment, sending production planning information to and receiving production data from the shop floor immediately and seamlessly. Our unique DIAMES USP is the comparison of production planning data with actual activity from the shop floor in real time, alerting your team to fix critical deviations immediately. An MES in today’s complex and demanding world of manufacturing is a must to manage the production process proactively on the spot when problems occur. DIAMES recognizes business critical deviations and alerts those responsible to immediately take action. This is the key to sustainably improve production efficiency and productivity. Reducing down- and waiting time, costs and waste will lead to higher efficiency. Recognizing the root of any problem in the process helps companies become more efficient and productive. When machines run smoothly and efficiently within defined specs, the lifespan of each machine increases too. High efficiency and productivity is a result of preparation and planning. When operations run more smoothly and potential issues are identified in the early stages, higher productivity will naturally occur. Without MES, companies don’t have enough manpower or a clear overview to increase productivity. Less down time and waiting time means higher efficiency, more productivity and reduced waste. Having a single view of the entire manufacturing process can help prevent issues before they arise. Also, there are substantial cost savings associated with unnecessary down- and waiting-time in the production process. A small problem in the manufacturing process could be the root of a larger issue in the end product. With an MES system, losses are minimal due to the ability to get ahead of problems before they occur. Less loss means more profit, higher efficiency and productivity overall and ultimately a boost to the bottom line. Sometimes scrap can be recycled or reused in the manufacturing of goods, but the time used to create scrap can’t be recycled; it is lost forever! Companies prefer to have less scrap so the materials can be used for the final product. The less scrap collected at the end of the day, the better the bottom line will look. Shorter throughput and cycle time means less wear and tear on machines and more manufactured goods in a shorter amount of time. All of these factors play a role in the bottom line of any company. Without MES, throughput and cycle times will naturally be longer and not as efficient. We are proud to provide MES solutions to these esteemed clients around the globe. This section highlights the answers to some of our most frequently asked questions. Learn more about our products with these informative downloadable brochures. We wrote the book on ways smart manufacturing with an MES can increase productivity. With the higher visibility that effective real time production activity data provides, managers and operators can reduce production time, waste and create a more efficient work environment. While every work environment is different, many companies who have chosen DIAMES have quickly experienced a productivity increase of more than 30 percent! DIAMES manufacturing execution software is critical for businesses to identify potential problems in real time. Real time data is more powerful than historical data and can give your bottom line a boost over a few short months. The investment you make in DIAMES can give you a return on investment in as little as 15-24 months!